My guides include photos, videos, 360° panoramas, and thoroughly detailed, custom made maps. Compatible with your phone’s Google Maps App, you can use them for turn-by-turn driving directions and a real-time GPS reference while on location. 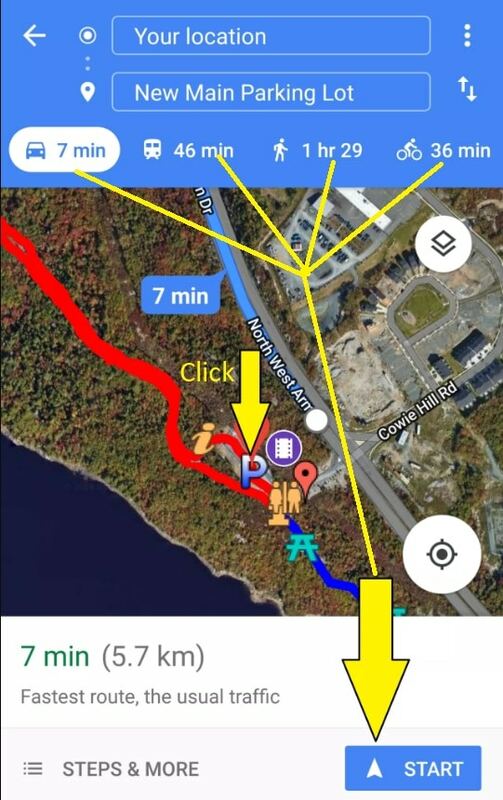 See this video tutorial for tips on hiking with the Google Maps App. Troubleshoot map links not opening in the Google Maps App: iPhone and Android. Disclaimer: Never rely solely on your phone for navigation and always carry a compass. Consider an extra battery and a printed map as well. HalifaxTrails.ca is the result of countless hours of work. Free and unrestricted by design, my maps and guides are meant to help everyone explore our great outdoors. Your appreciative support will help me continue to add, update, and ensure it stays a free resource for all. Thanks, and happy trails! Waterproof/Breathable Hiking Gaiters. A Must-Have For Spring Hikes!